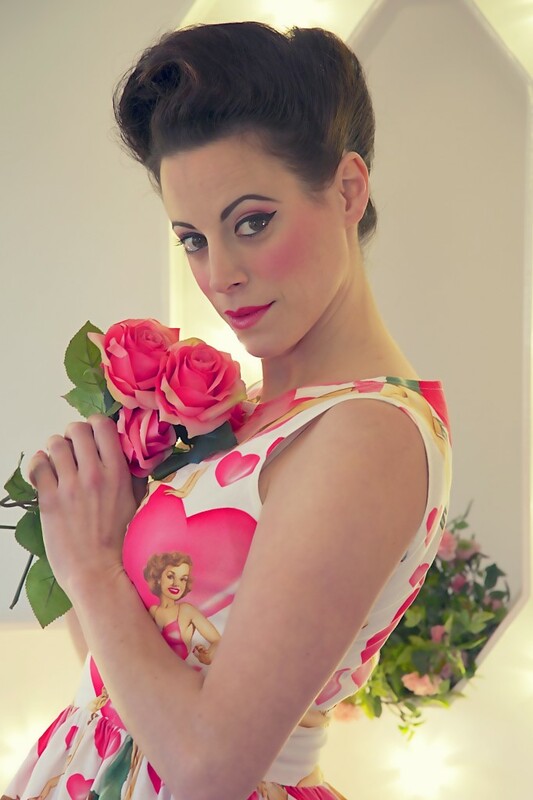 Our ‘Love Shoot’ was so much fun to complete, working again with the lovely Kernow Dream Photography and Madame Tashys Beauty Boutique, as well as having Madame Tashy model for us. 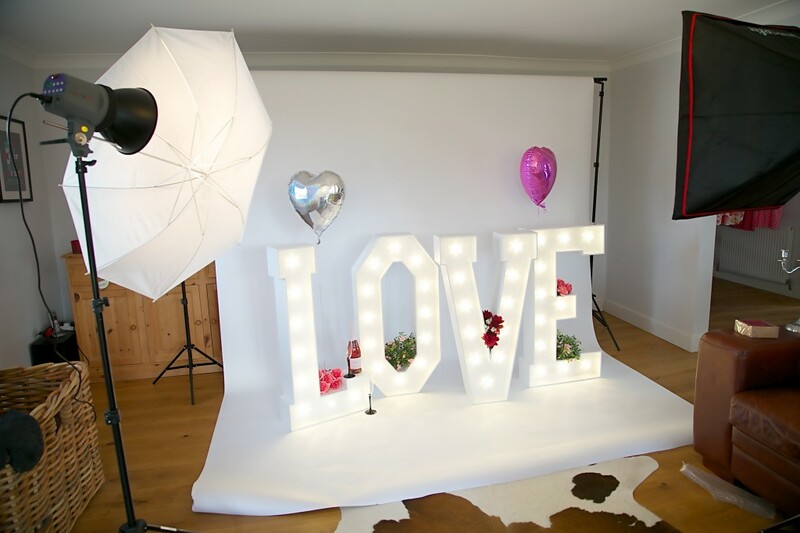 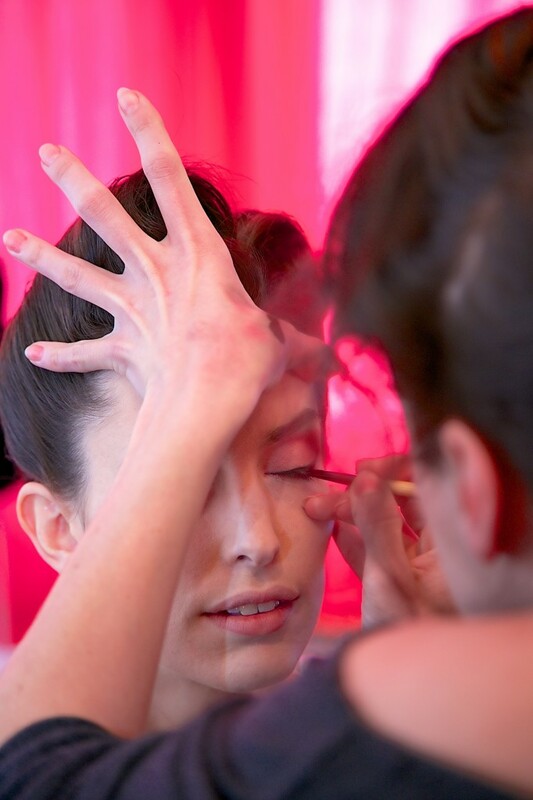 We were also honoured to have model Jen on board and Leanne from Love Lights to lend us the lighting. 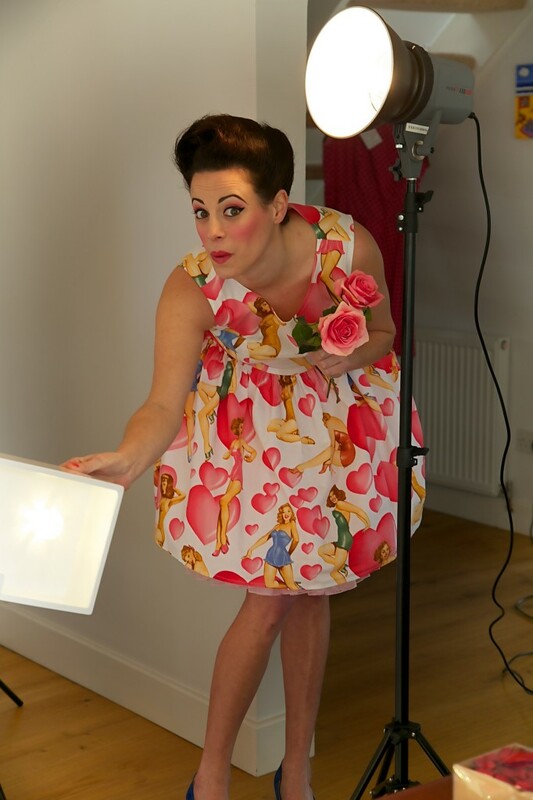 The shoot was created in a friends living room, which had excellent lighting, using Lisa’s white backdrop and studio lights. 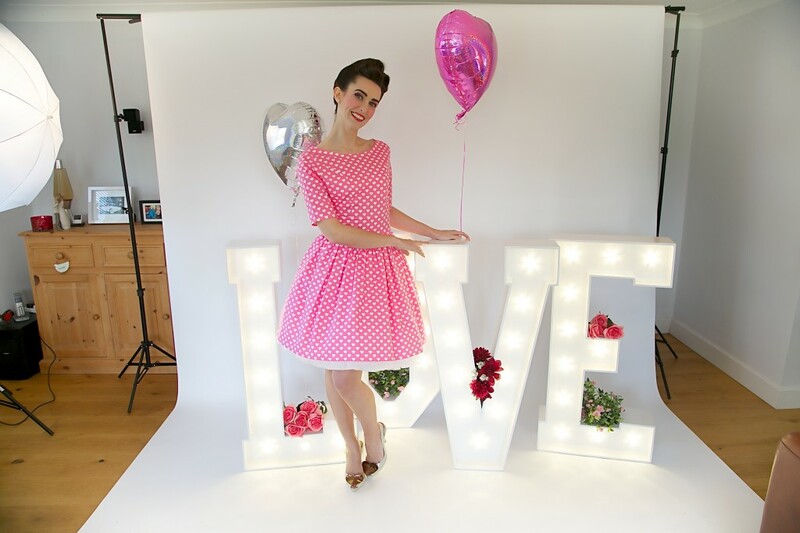 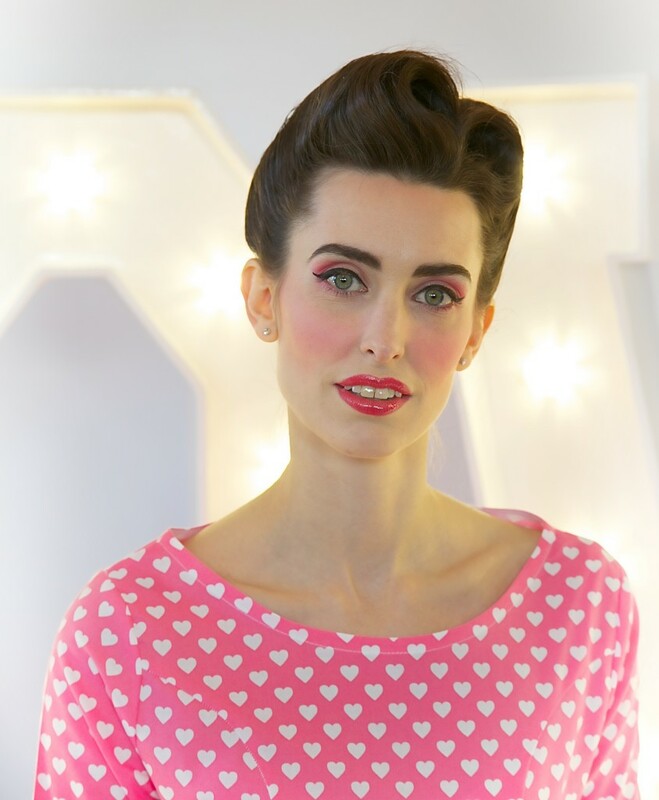 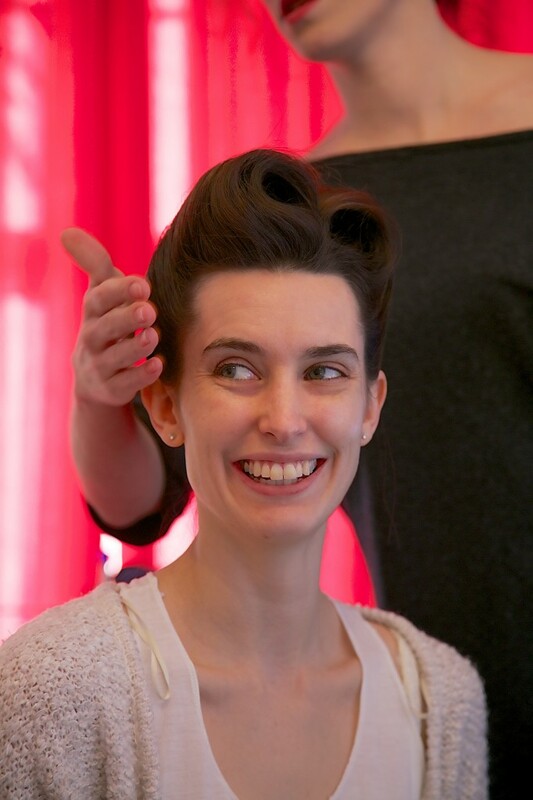 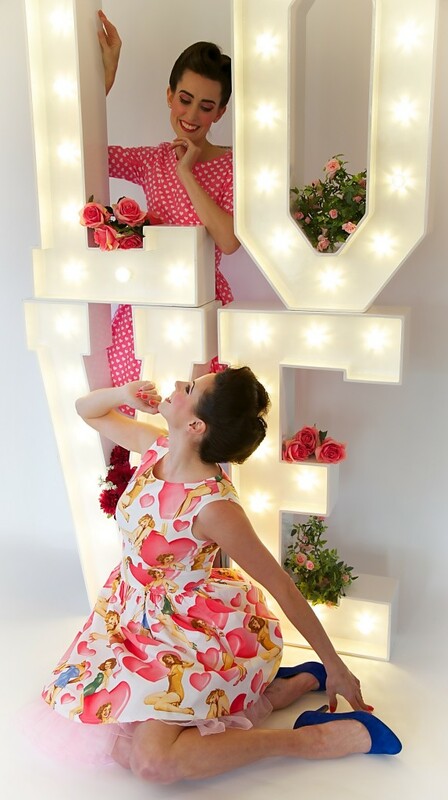 Tashy created the Make Up look using pink tones to match with the dresses and vintage inspired Love Heart hair styles. 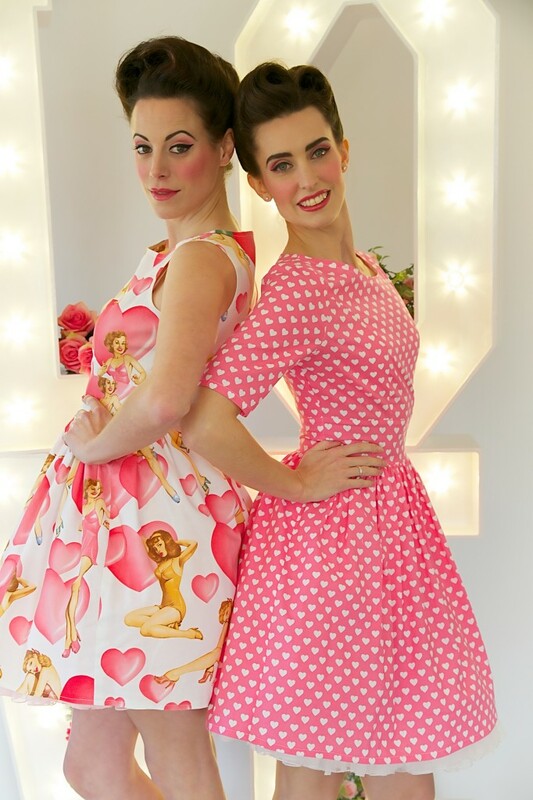 We had loads of fun putting the shoot together and shooting our two ‘Love Dresses’ which are available now to buy on the website.